18" x 24" Custom Mulligan Sign includes stake. 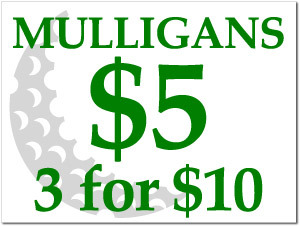 Home > Mulligan Signs > 18" x 24" Custom Mulligan Sign includes stake. 18" x 24" Mulligan Sign Includes Stake. Customize with your own price and quantities.